Incheon International Airport is Seoul’s representative airport, serving as the gateway to the city for people from all over the world. In 2001, it took over the role of Korea’s main international airport from Gimpo International Airport. In 2008, a concourse building was added in the middle of the airport, along with a runway on the west side, and the second passenger terminal was finally added on the north side on Jan. 18, 2018. Incheon International Airport is compartmentalized by airlines and not by destinations. It is highly encouraged that passengers check the location and number of their boarding terminal on the airport website beforehand. The most convenient way to get to Incheon International Airport from Seoul is to take the Seoul Metropolitan Rapid Transit (subway) or the bus. A subway going from Seoul Station to Terminal 2 takes 66 minutes and is set to open on Jan. 13. 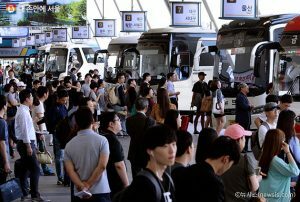 The Seoul City airport buses with numbers in the 6000s will extend their final destination from Terminal 1 to Terminal 2. Compared to the subway, however, buses take much longer to go move from one terminal to another, since they have to take detours, unlike an underground subway. Moreover, once an airport bus stops at Terminal 1, it takes extra time to unload passengers’ luggage before leaving for Terminal 2. Taking this into consideration, the total trip time may take up to 30 minutes longer when you are headed to Terminal 2 as compared to Terminal 1. Therefore, passengers heading to Terminal 2 should leave for the airport much earlier than before. There will be no additional charges for the extended bus route, and the service will begin on Jan. 15. 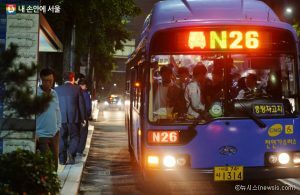 Meanwhile, airport buses with numbers in the 6700s will first head to Terminal 2 before heading to Terminal 1, starting Jan. 18. And it should also be noted that, from Jan. 15, a portion of the bus lines (6006-1, 6009-1, 6020-1, 6300-1) will only operate up to Terminal 1, and will not head to Terminal 2. If you get off at the wrong terminal by mistake, you can move between terminals. 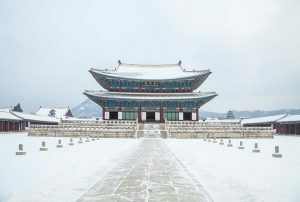 You may take the Airport Railroad (operates 5 times per hour in the afternoon, 6-minute ride, 900 won charge), or take the shuttle bus prepared by Incheon International Airport (operates 12 times per hour, 15-18-minute ride, free of charge).